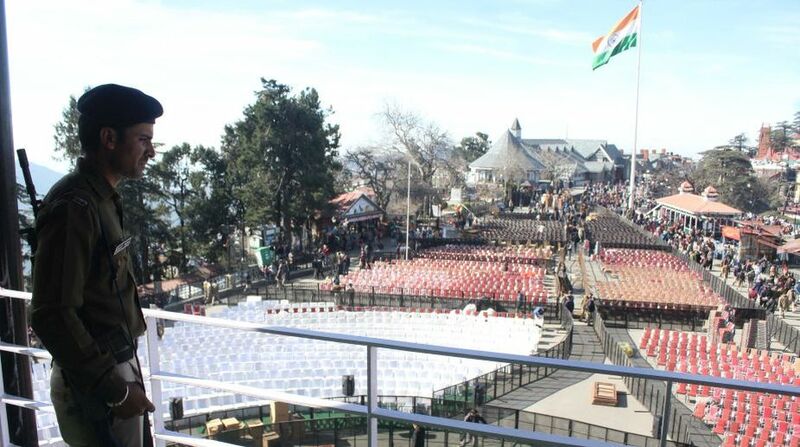 Shimla is all decked up for the mega political event on 27 December, as five-time MLA and former minister, Jai Ram Thakur takes oath as 13th Chief Minister of Himachal Pradesh in the presence of Prime Minister Narendra Modi, BJP chief Amit Shah and a galaxy of BJP CMs from other states on the historic Ridge. It is for the first time that so many dignitaries from across the country will come for the swearing-in ceremony. Elated over its spectacular win in HP, where the BJP wrested power from Congress with 44 seats out of 68, the party is preparing for a massive rally on the Ridge. BJP insiders said since Jai Ram Thakur is a new face and has risen from the student politics, there is much enthusiasm in the younger lot in BJP to throng the venue for his swearing-in ceremony. With CM, some ministers are also likely to take oath, although none in the party confirmed it till evening. However, much inconvenience is being caused to the public due to restrictions ahead of the visit of the VVIPs as the city is already overflowing with tourists. The Ridge, which is out of bounds due to security reasons, is a favourite spot among the tourists as well as locals.